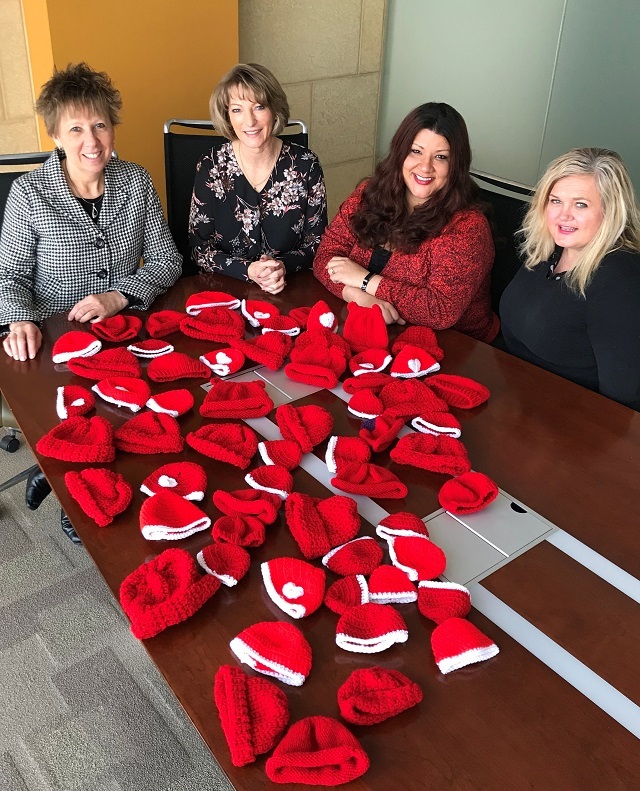 Thanks to Murphy Desmond employees Joann Bernards, Kathy Brickl, Sherry Lindgren and Vickie McNeal, in addition to Joann's mother, Marguerite Bernards and Brian Thill's wife, Jodie, for knitting a total of 60 baby hats to donate to the Little Hats, Big Hearts campaign by the American Heart Association. The project, which included volunteers across the country making hats for babies born in participating hospitals in February, is meant to raise awareness of congenital heart defects and heart disease. February is American Heart Month. Special thank you to Sherry Lindgren for presenting the hat-knitting idea to the firm after seeing a segment about Little Hats, Big Hearts on the TODAY show one morning. All of these women knitted the hats in their spare time over the past couple months.